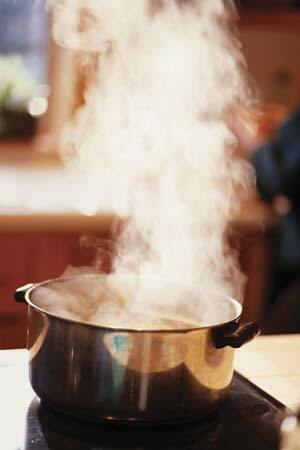 Boiling Water Contributes to Greenhouse Effect – H2O vapor is ten times worse than CO2! They claim that the C02 greenhouse gas is the biggest challenge to our existence on Earth; if it’s true that C02 is a serious problem then why not a single word from them about the dangers of Water Vapor and Clouds which are the largest greenhouse gas contributor!? All the politicians and extremist environmentalists want to talk about is how much money it will take to correct the imagined C02 problem. Money to them. Mo-money to them. Give them all your money to solve the C02 problem. That’s what they want, your money. Save the Earth with your money. Nice scam. Why did you vote for them again? 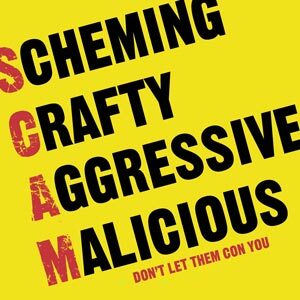 Scam… scam… scam… scam… bigger than Madeoff. The fears about C02 are a complete overblown scam. If you really are afraid of C02 then you should be utterly terrorized about water vapor! Not to mention the real pollution issues that are facing our planet. The REAL indisputable pollution are things like The Great Pacific Garbage Patch and yet people worry about imaginary things, like AGW which are most likely Natural Cycles in action. Clean up the actual pollution mess and give time for the long term climate science to get some actual standards. Take a good long peek at WattsUpWithThat and you’ll see that the so called climate science isn’t as sound as it’s sold to the public to be. Consensus isn’t science by the way Brooks, it’s believe based culture not much different than theology. Water Vapor is by far the biggest green house gas so we should be working to eliminate clouds by the C02 scare logic. Get real. Don’t boil that water for your tea or for cooking dinner as you are directly contributing to green house gases with the steam! As someone very interested in and dedicated to hard science the more I learn about climate science the less I’m I’m able to accept about AGW due to the many faulty claims made by the fear mongering soothsayers of global doom. The more I learn about climate science the more I see that it’s not a hard science after all but a fledgling science with some hard (yet flawed) data collection but lots and lots of interpretations based upon massaged statistical games, but above all it’s not much better than a lousy guess and not much different than the ancient practice of soothsaying. For example, clouds are not modeled properly thus the climate models are incomplete. “The effects of clouds are a significant area of uncertainty in climate models. Clouds have competing effects on the climate. One of the roles that clouds play in climate is in cooling the surface by reflecting sunlight back into space; another is warming by increasing the amount of infrared radiation emitted from the atmosphere to the surface. In the 2001 IPCC report on climate change, the possible changes in cloud cover were highlighted as one of the dominant uncertainties in predicting future climate change“! Wow, so even the IPCC admits that clouds, aka water vapor in the form of clouds, are one of the dominant uncertainties in predicting future climate change! So climate science is not settled science by their own admission that there are significant areas of uncertainty! They also have forgotten that the Weather and thus Climate are not predictable systems as these systems are governed by Stephen Wolfram’s Law of Predictability paraphrased here as: waiting till the future arrives is sometimes the only way to predict the future, especially with Natural Systems! Stephen Wolfram proved that in his book, “A New Kind of Science”, Chapter 2. Added 20090820: Cloud cover is influenced by Cosmic Rays. The Center for Sun-Climate Research at the Danish National Space Institute “investigates the connection between solar activity and climatic changes on Earth”. “Svensmark proposed that as cosmic rays fell through the Earth’s atmosphere, they formed “condensation nuclei.” Water vapor molecules could then stick to the nuclei and eventually form clouds. More clouds would reflect more sunlight, and the Earth’s temperatures would drop. In contrast, fewer cosmic rays would mean fewer clouds and a warmer climate.” – The Cosmic Climate Connection. The more I learn about AGW the more I focus on REAL pollution as it’s clear that real pollution is a real problem. Pick up your garbage! Reduce your consumption of consumables. Don’t use that bag. Don’t buy that bottle. Reuse. “For a start, let’s consider this highly emotive term “carbon pollution” which is constantly being bandied about. It only takes a moment’s thought to realise that there is no “carbon pollution” problem. It did exist 50 years ago, when we had steam trains and diesels with smoky exhausts and coal-burning power stations which had less than complete combustion. It used to be called soot. But it is not a problem now, in most countries. Now I know that some people use “carbon” as shorthand for carbon dioxide but it is sloppy thinking and generates worry in the unthinking masses that we are spewing all this carbon into the air. We’re not. We are burning tremendous amounts of fossil fuels and that is putting huge amounts of carbon dioxide into the air. Carbon dioxide is a greenhouse gas and that is a big worry, isn’t it? Well, maybe. But all these doom merchants who worry about carbon dioxide never say anything at all about the other greenhouse gas which is produced when fossil fuels are burnt. What is that? It’s called water vapour – the same stuff as in clouds. Is water vapour a problem? Definitely not. If you calculate the molecular weights of the two combustion products, carbon dioxide and water, you will find that there is more water produced than carbon dioxide. But greenies never mention it. Why? Because they have either forgotten their high-school chemistry or they are completely ignorant of it. That’s very interesting, especially the point about there being more water vapor produced with the burning of fossil fuels than C02. If you or someone else is freaking out about the C02 produced then they MUST also freak out about the amount of H20 vapor being produced! Both are greenhouse gases! I’m constantly surprised by so called environmentalists who won’t do anything about real pollution since they are focusing only on their imagined C02 soothsaying fears. Help clean up the real pollution please. Considering that water vapor and clouds are the largest percentage of greenhouse gas (up to 85% of all greenhouse gases) wouldn’t it be better, as in more effective with immediate results, to Ban Cooking and Outlawing Making Tea than limiting C02 to reduce greenhouse gases? He’s cooking with water, shoot to kill! Making tea, how opulent, destroy and obliterate that house! That puts an end to that particular source of greenhouse gases. Wouldn’t it be easier technologically and cost wise to take water vapor out of the atmosphere than C02? Are there any studies that have been done to see how much Water Vapor in the Atmosphere is allegedly from human activity? How does that compare with the amounts of C02 that are allegedly from human activity? Maybe Nature corrects for too much greenhouse effect by adding more clouds? Any studies on that? How much water vapor would we need to remove from the atmosphere to compensate for the allegedly human caused C02? And if we did remove water vapor from the atmosphere using some technology wouldn’t it just be replaced by an equivalent amount of water vapor by Nature? Would we need to terrorform Earth into a desert to avoid Al Gore’s horrific soothsaid Waterworld? How much does plastic in the oceans effect our world? Someone replied “that she is with Brooks”, whatever that means. It really isn’t about who is with who, it’s whether or not the AGW hypothesis is correct or not; if you assume it’s correct and begin terraforming the Earth the wrong way you’ll just make matters worse off. Following the logic of the AGW hypothesis would mean that eliminating C02 could trigger an ice age if you eliminate too much. How much is that? Who knows!!! How about working on real indisputable pollution problems rather than imaginary and unproven ones for a real change? Let’s clean the oceans of plastics! That’s cleaning up real pollution. What other real pollution problems you can work on to solve that involves actual problems? Someone else was suggesting that people just want money. I have no plan for your money. Unless… just kidding… really no plans for your money. All I’m asking is that people do something about real pollution rather than do nothing by listening to the fear mongering of the climate of fear soothsayers. Pick up trash. Plant a tree. Don’t toss out that bag without reusing it at least once or thrice. … Walk rather than drive. Cycle without getting yourself killed (difficult in modern cities). Add solar to your dwelling unit if appropriate. Don’t toss your medicine in the trash, return it to a pharmacy for proper disposal. Recycle your electronics. Resell your things or give them away rather than tossing them. Save the oceans from plastic. Hug someone in need. Live a real life rather than one distracted by delusions that can’t be proven. Know that climate and weather are natural cycles of Nature and that in our arrogance to save our planet we might do more harm than good so there is wisdom in taking solutions slowly; fools rush in. This entry was posted on July 13, 2009 at 1:43 pm	and is filed under Awesome, Climate Science, Debunking Bad Environmentalism, Get some perspective people, Hard Science, Hard Science Required, Humbled by Nature, Ignorance to Knowledge, Rational Thinking, Science Education, TerrorForming Earth, Vaporizing Earth!, Video. You can follow any responses to this entry through the RSS 2.0 feed. You can leave a response, or trackback from your own site. Fortunately water tends to precipitate out of the atmosphere quite rapidly in a process you may have heard of: it’s called “rain”. CO2 doesn’t. It stays in the atmosphere for much longer, which is why it’s a bigger problem. If you don’t know the difference between weather and climate, you’re hardly in a position to comment on climatology at all. You clearly don’t even know the basics of the subject. To help you, though, I offer this analogy: it may be impossible to predict the currents and vortices that occur in a body of water, but you can still tell which way the river is flowing. Cliff wrote: “Fortunately water tends to precipitate out of the atmosphere quite rapidly in a process you may have heard of: it’s called “rain”. That’s quite funny Cliff. Obviously I’ve heard of rain… however you don’t seem to have heard of those white puffy things known as clouds which have an impact on increasing global warming. You also don’t realize that water vapor is the BULK of the greenhouse gas in the atmosphere. Yes, C02 enters and exists the atmosphere via different methods than H2O. The Earth is a complex bio system. Plants use C02 to live as one of their primary nutrients. Maybe you were asleep that day in biology class in grade school. Seriously, C02 isn’t the problem it’s made out to be. Heck the C02 as a cause of Global Warming hasn’t yet been proven scientifically, AGW is still a hypothesis that is being tested and has many detractors and flaws. I do know the difference between climate and weather, I also know the similarities between them. I also comprehend the limits of computer modeling. As such I am qualified to speak on the topic. One illuminating way to look at the difference is: Climate is statistical games that climate scientists (and politicians) play with the real stuff that happens, the Weather! The weather is real, the climate is supposed to be the weather observed over time – however generally due to the lack of good and accurate data collection and games (corrections) done to that data is quite poor science indeed. Climatology is a large field and I’m learning more about it every day. Computer Science and Systems Science are my professional fields of expertise. Climate Science (if it can be called that due to the too many “magic stuff happens here step” in their work) is a new science itself and relies too much on “soothsaying” things about the future which are provably impossible to predict. The Weather and Climate of the Earth are a complex system that can’t be accurately predicted. This isn’t due to our “lack of knowledge” it’s due to the very nature of complex systems themselves. As Wolfram proved there are systems that can only be “predicted” by observing them in real time as time ticks forward. Climate/Weather are one of these systems. Your analogy doesn’t apply which is part of the problem with your reasoning. You can’t know the direction of the river by just watching the vorticies in isolation. Just the same it’s not possible to predict the climate from the weather data collected over time and put into computer models. Why not? The models are not the real system and the real system has too many variables. As stated earlier Wolfram has proven that certain systems – which the weather/climate of Earth is one, can’t be predicted without letting the system run it’s course. You see Cliff you are a believer of the Climate Soothsayers. I on the other hand am a scientist who values observation and application of the scientific method given the well known and well tested laws of Nature. Applying knowledge such as Wolfram’s to climate science will reveal the limits inherent in the climate soothsayers religion of doom. 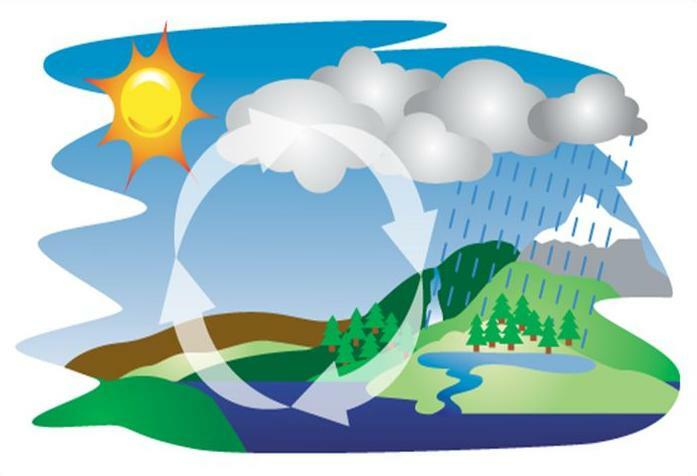 Clouds – made of that horrible chemical water vapor – cause global warming. That is a fact of climate science that is well documented. Adding mass amounts of water vapor causes clouds. Yes, rain occurs however in the interim sunlight is reflected back off of the clouds. There are many ways that C02 is removed from the atmosphere. Learn the climate history and you’ll see that it’s been much warmer with both higher and lower levels of C02. C02 doesn’t drive warming, warming drives C02. You’ve got to learn more about climate science yourself Cliff and give up on your beliefs in the climate soothsayers given that their models can’t do what they claim of them, and for many other reasons the chief among them being that belief in a scientific theory is just more religion and goes against the scientific method itself dude. “… The dynamic and changing character of the Earth’s climate has always been known by geologists. These changes are cyclical and random, he says. They are not caused or significantly affected by human behaviour. Polar ice, for example, has been present on the Earth for less than 20 per cent of geological time, [Ian] Plimer writes. Plus, animal extinctions are an entirely normal part of the Earth’s evolution. Plimer gets especially upset about carbon dioxide, its role in Earth’s daily life and the supposed effects on climate of human manufacture of the gas. He says atmospheric carbon dioxide is now at the lowest levels it has been for 500 million years, and that atmospheric carbon dioxide is only 0.001 per cent of the total amount of the chemical held in the oceans, surface rocks, soils and various life forms. Indeed, Plimer says carbon dioxide is not a pollutant, but a plant food. Plants eat carbon dioxide and excrete oxygen. Human activity, he says, contributes only the tiniest fraction to even the atmospheric presence of carbon dioxide. There is no problem with global warming, Plimer says repeatedly. He points out that for humans periods of global warming have been times of abundance when civilization made leaps forward. Ice ages, in contrast, have been times when human development slowed or even declined. In the end the real science will win out over the political hysteria over the nothing of AGW fears. If you really are concerned about AWG as if it’s a real problem then go out and plant more plants, tree, shrubs, grasses, forests… green the Earth… do something that will have a real benefit even if you’re doing it for a bogus reason. Remember to plant at least the number of trees for your family’s C02 footprint. Plant a vegetable garden… but don’t cook them in boiling water as that generates at least two greenhouse gases: H20 Water Vapor and C02 – eat them raw veggies, but don’t bletch as that puts greenhouse gases into the atmosphere… aaaaaahhhhh… you mean there’s almost nothing that I do that doesn’t add to greenhouse gases… yup… even killing yourself over this would cause greenhouse gases to be emitted… aaaaaahhhhhhhh…. but don’t worry, it’s really not a problem. however you don’t seem to have heard of those white puffy things known as clouds which have an impact on increasing global warming. What, you’re now arguing that cloud cover is increasing and this is driving global warming? You also don’t realize that water vapor is the BULK of the greenhouse gas in the atmosphere. I do realise it, better than you do, because I also understand that water vapour isn’t significantly increasing whereas CO2 levels are. Plants use C02 to live as one of their primary nutrients. Maybe you were asleep that day in biology class in grade school. No, I’m aware that plants absorb CO2 and I know the oceans do too, but CO2 levels are *still* increasing, so clearly the absorption mechanisms are not keeping pace with the output. Only by people like you who simply don’t understand the science and yet are convinced they know better than those who actually study it. Well, that’s rich coming from Computer Science. Computer Science is filled with jargon that’s simply designed to make the subject more complicated. All computers run Java (because that’s the only really portable language) and yet computer programmers insist on programming in “C” and “Assembler” just to make it more complicated even though the computer then translates it into Java to run it!. Yeah, they’ll claim it’s for added flexibility or something, but really it’s just to make the thing more complicated than it needs to be so they can keep their jobs. Where you’re learning about climate science, I’m learning about computer science! As Wolfram proved there are systems that can only be “predicted” by observing them in real time as time ticks forward. Climate/Weather are one of these systems. Wolfram didn’t prove this (or rather, he might have, but he wasn’t the first!). It’s trivially obvious that systems can be unpredictable; rolling a dice for example! You still know that something is wrong if you’re averaging 5 per throw though. On another level, non-computable functions have been known for quite a while now. I on the other hand am a scientist who values observation and application of the scientific method given the well known and well tested laws of Nature. Applying knowledge such as Wolfram’s to climate science will reveal the limits inherent in the climate soothsayers religion of doom. Misapplied knowledge. Think! Air movement in a room is unpredictable, but if you turn on a heater you can predict that the air within the room will increase in temperature. There are hundreds of examples from real life of systems that are unpredictable in some areas but where you can make longer term predictions on average. You really think no climatologists know what Wolfram has to say? And then you get back to the clouds causing global warming. Since we’ve had clouds forever, I presume you have a theory of why the cloud cover is increasing? And why, since we know CO2 traps heat, the CO2 *isn’t* causing any heating? All computers run Java (because that’s the only really portable language) and yet computer programmers insist on programming in “C” and “Assembler” just to make it more complicated even though the computer then translates it into Java to run it!. Yeah, they’ll claim it’s for added flexibility or something, but really it’s just to make the thing more complicated than it needs to be so they can keep their jobs. Where you’re learning about climate science, I’m learning about computer science! You better keep learning then if you think all computers a) run Java and b) translate all programs into Java anyway. Simon, yeah what’s Cliff rambling on about? He’s got it backwards… assuming anything he said can be said to be coherent in any way, shape or form. Actually I’m not arguing that at all, scientists who study the field are arguing that! I’m simply reporting what they say and that clouds aka water aka H20 is the major green house gas. “Yu proposes that the amount and charge of cosmic ray-generated ions can contribute to the formation of dense clouds by stimulating the production rate of low-atmosphere particles that make the clouds more opaque. In addition, natural and man-made differences in atmospheric chemistry, like greenhouse gas concentrations, can also affect the cosmic rays’ influence on clouds, according to Yu. Such height-dependent atmospheric differences can increase the quantity of ambient particles in the lower troposphere and decrease the particles in the upper air, thus affecting the type of cloud cover. The logical conclusion is that reducing water in the atmosphere by even a small amount would offset any feared effect from C02. The amount is calculated to be less than a 2% reduction in clouds to offset the C02. “A <2% precipitation change more than offsets a doubling of CO2"
Actually you should look over the PDF file quite a bit as you’ll see a lot of data that invalidates the claims of the fear mongers of AGW. As for the rest of your comments Cliff, your assumptions are off base, incorrect and show that you are in serious need of getting informed. Svensmark detailed his theory of cosmoclimatology in a paper published in 2007. The Center for Sun-Climate Research at the Danish National Space Institute “investigates the connection between solar activity and climatic changes on Earth”. Its homepage lists several publications earlier works related to cosmoclimatology. * During the last 100 years cosmic rays became scarcer because unusually vigorous action by the Sun batted away many of them. Fewer cosmic rays meant fewer clouds—and a warmer world. Third-Grade Scientists Successfully Vaporize Water, and in the process contribute to Greenhouse Gases!!! Fantastic article, plenty of great data. I wish to show my pal and get all of them whatever they think. it completely, e-mail me at sarah_landon@web. by the Food and drug administration in 1959.
de Formación. Combinamos la Práctica profesional Como agencia, gestionando y asesorando a Clientes y Empresas en el Ámbito de la Comunicación y Nuevas Tecnologías de las, la de la estafa Formacion Empresarial y de Usuarios Finales. TODAS LAS Herramientas necesarias Para Que Los Mismos Ellos gestionen. Formación: aplicamos Nuestros años de Experiencia Como Agencia de Comunicación y Profesionales en Asesoramiento en Nuestros aviones de Formación y en línea presencial. El Mundo Para Que logren SUS Metas y Aspiraciones. A Través de this page web OFRECEMOS Nuestros Propios cursos en línea de Todo tipo de Temáticas y Ámbitos. Todos hijo Cursos en línea en español. en el correo electrónico info@cursarium.com. Comunicación o Formación Asesoramiento presencial, contacta también con Nosotros A través del correo electrónico Mismo /. Los cursos estan en línea adaptados a los Dispositivos Móviles, INCLUYEN Seguimiento continuo de los Tutores y se actualizan constantemente párr ofrecer siempre Las Ultimas Tendencias y Novedades en el Ámbito. estudiar from any parte del Mundo y recibir tu certificado Al Momento Una Vez Finalizado y Aprobado Curso ONU.